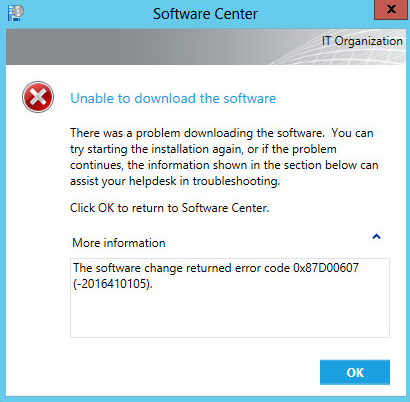 This error appears when attempting to download and install software from SCCM in Software Center. This error typically means the IP address of the client machine is not within the SCCM boundary group. 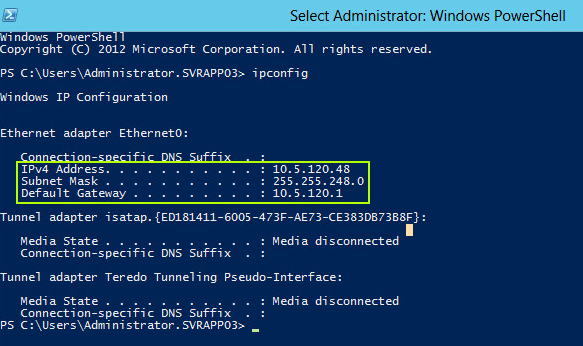 For example, lets consider a scenario where the SCCM boundary group has IP subnet 10.5.120.0 / 255.255.240.0. In this scenario, if a clients IP address and subnet mask is not in the boundary, error 0x87D00607 will appear in Software Center. 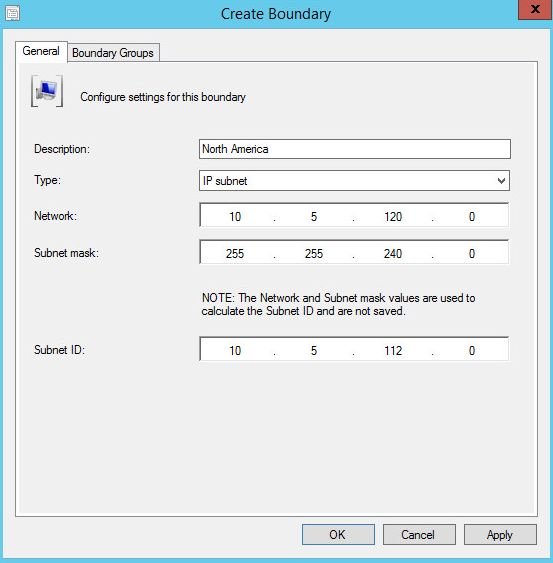 In this example, the client IP address and subnet in not in the boundary.